My first feathering piece, feathering the nest #1 – of hope & glory was accepted into the Art Quilt Australia 2015 exhibition to be held at The Wool Museum, Geelong. This week it was time to send it off. I had been in a shipping quandary whilst making this piece… it is large and comparatively heavy. Whilst not being delicate, it is made of many little ‘feathers/quilts’ that I did not want creased. All along the way I could have made different decisions that would have enabled me to send a smaller or lightweight or densely quilted piece that would not have required specialised packing. I chose instead to make the work that evolved before me – with the thought that if it was selected I would work out how to get it there. And that time is now…. The quilt is close to two metres square. The construction method, combined with the width and weight meant that both the upper and lower edge need tensioning. Both the upper and lower edges have rod pockets attached. The lower pocket has been sent with a rod intact. I needed to roll the quilt because of the rod and also because the potential for creasing would then be lessened…and I needed an appropriate size box! I am a member of Artsource and it is to Artsource I turned. I hit the jackpot, instantly finding details of THE BOX MAN who will manufacture specialised boxes in a 24 hour turnaround. 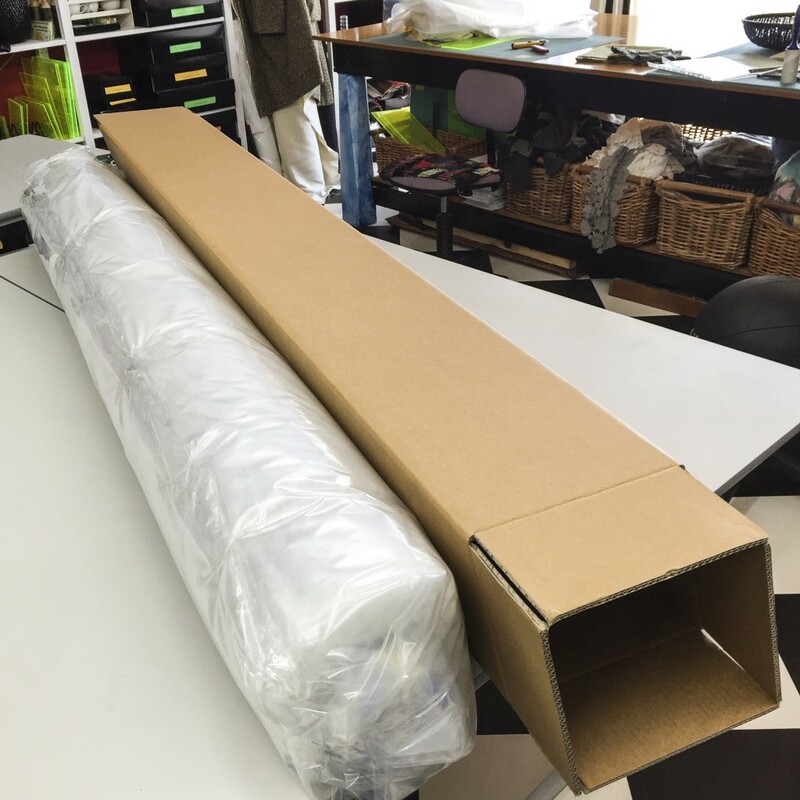 A quick phone call and I had a quote….$14 for a box 200cm x 25cm x 25 cm. Thrilling is the word to use – for ease and price. 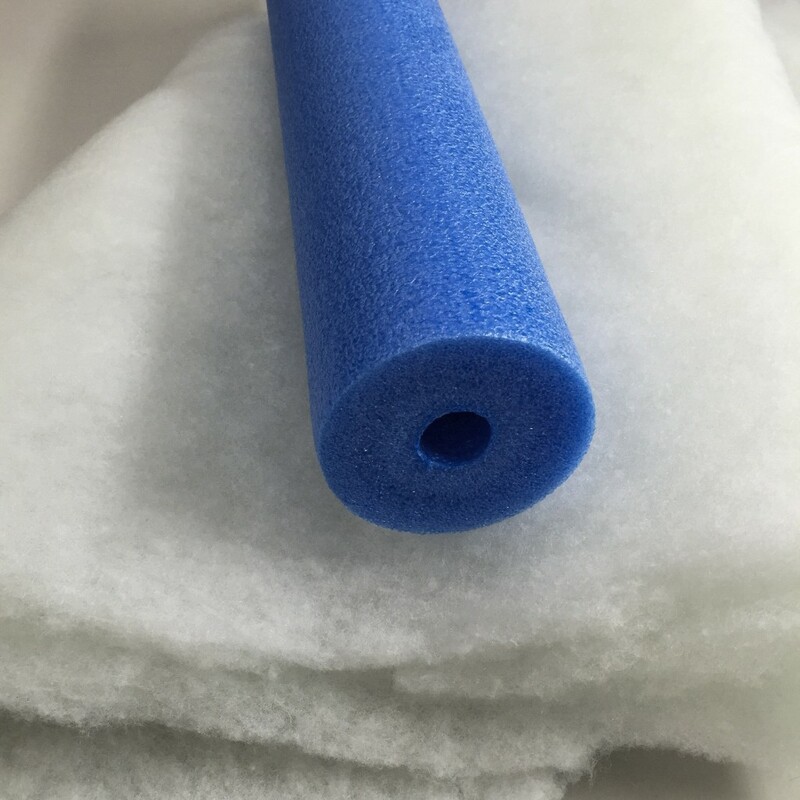 A core, to get the roll started,was made with two wide pool noodles. I cut and joined them to fit the exact inner length of the box so that the quilt would not slide around. I needed some padding to roll with the quilt to lessen crushing. My solution was some thick nasty synthetic batting. Textile Traders had a two for one offer on so my 3 metres was an economical purchase. The final outer layer was provided with a plastic single mattress cover, purchased whilst visiting The Box Man. I cut it wide enough to roll a few times around the quilt and taped it closed over the end of the noodles. The fit was superb. Australia Post will not send anything over 1.2 metres!!!! No wonder they are not doing too well at the moment was my first thought. This sent me into a flurry of panic as I no longer had business dealings with freight companies like we used to in full blown Stargazey days. Who to contact….? In the end, after searching and filling in forms it came down to Pack & Send which surprised me. The quote was quick and easy to do and reasonably priced. Their efficiency was faultless. I printed out packing labels and the box was picked up by TNT the next day. In the end it was all so easy but my worry-wart tendencies had full rein for a few days…and nights. As I write this I have just been informed of its arrival at its destination….VERY quick and efficient. 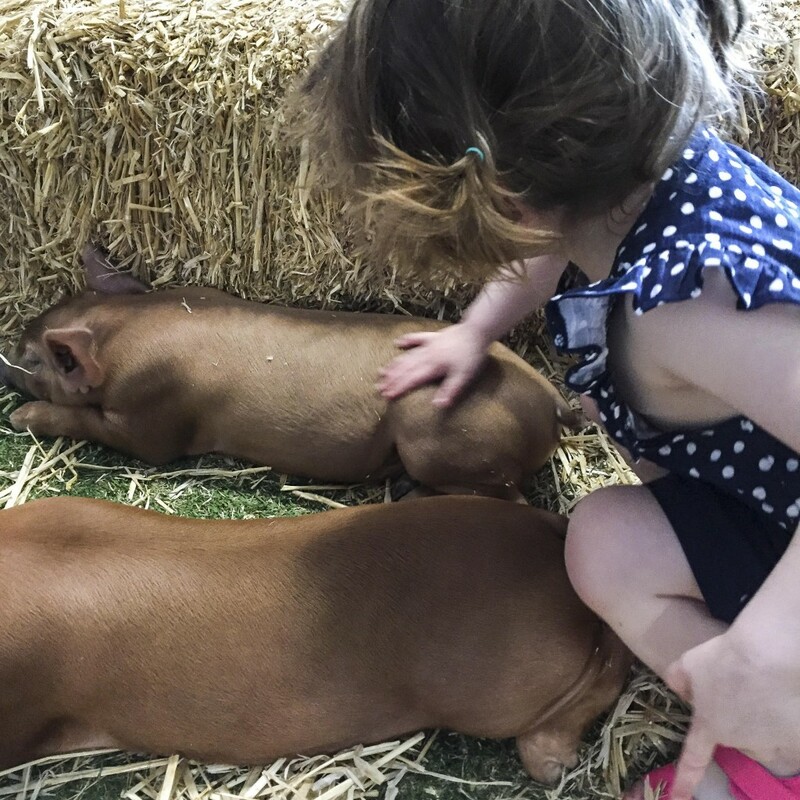 The rest of the week was spent tap, tapping away as is my habit/workload of late, but Friday, Estherday, required a quick visit to the Perth Royal Show. We looked at loads of animals and tentatively patted some. I made a quick fly through the baking hall too…. 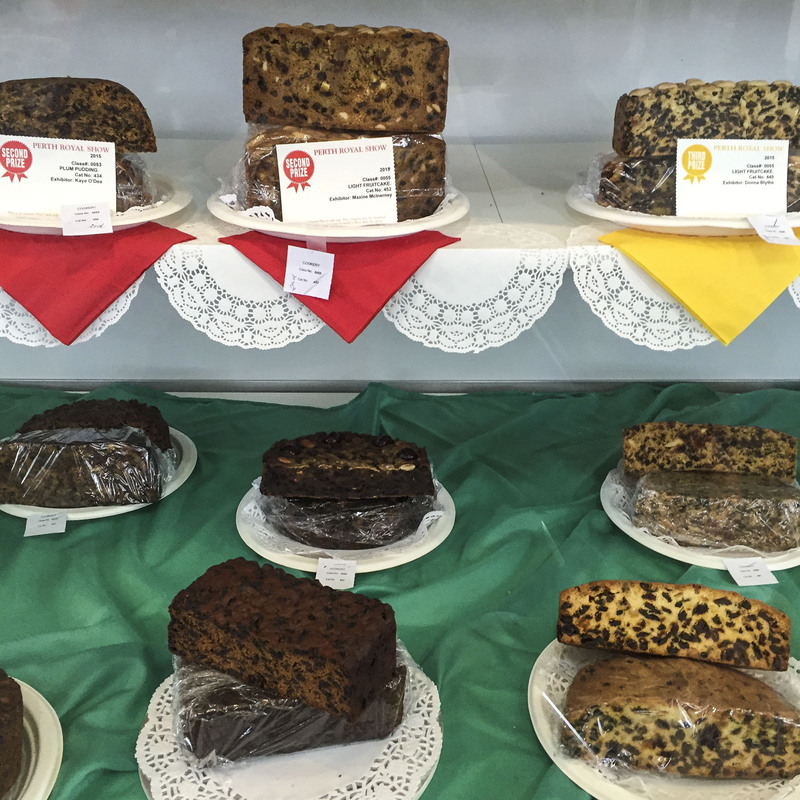 I love the continuity of these displays and the knowledge that despite our gourmet extravaganzas, a fruitcake is still to be applauded. ….. and we escaped without a show bag though that may change in years to come….